Recent work highlights Advising RWE on the €5bn IPO of innogy on the Frankfurt stock exchange – the largest IPO since 2000 and the fourth largest in German history; advising KKR on its acquisition of Airbus Defence Electronics Business Companies; Linde on its merger with Praxair. Sullivan & Cromwell, Cravath, Swaine & Moore, Linklaters and Hengeler Mueller have won roles on another potential mega merger, between US and German oil and gas giants Praxair and Linde. The two companies confirmed the deal yesterday (20 December), creating a company with revenues of around $30bn and a combined market value of more than $65bn. The combined company will be a ‘merger of equals’ with shareholders from each party holding around 50% of the new company, which will be branded as Linde on the New York and Frankfurt stock exchanges. Cravath US-based head of European M&A Richard Hall led on the deal for Linde, alongside partner Aaron Gruber who acted on M&A matters and Len Teti who advised on tax. 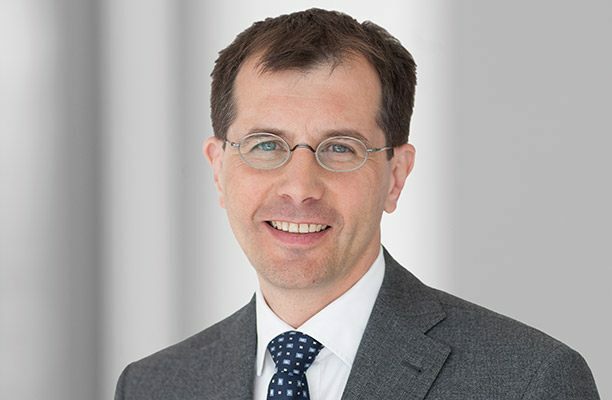 Linklaters is advising on regulatory and antitrust issues with New York-based partner Thomas McGrath and Brussels head Bernd Meyring while Hengeler Mueller corporate partner Maximilian Schiessl is also advising the Munich-headquartered company. Sullivan & Cromwell is advising Praxair on the deal. The team was led by New York corporate partners Keith Pagnani, Krishna Veeraraghavan and Frankfurt-based partner Carsten Berrar. The deal has been under consideration for some time, with the two companies confirming talks over the summer before they were called off in September. Other megadeals this year have included AT&T’s $85.4bn bid to takeover Time Warner, with Sullivan & Cromwell and Arnold & Porter advising AT&T, while Cravath acted for Time Warner. Sullivan & Cromwell also scored a spot acting on the largest deal confirmed in the first half of 2016, when the New York firm advised Bayer in $62bn takeover attempt of Monsanto. Allen & Overy is also acting for Bayer on the financing of the transaction under Frankfurt-based finance partner Neil Weiand in another key US/German deal. Wachtell, Lipton, Rosen & Katz advised Monsanto through the potential acquisition. The Bayer/Monsanto deal ultimately closed in September after Bayer returned with an improved $66bn takeover bid. Freshfields Bruckhaus Deringer and Hengeler Mueller have won spots advising as Blackstone Group purchased a portfolio of offices from IVG for €3.3bn, the largest European real estate transaction this year. Blackstone picked up one of the largest portfolios of office real estate in Germany, OfficeFirst, which is comprised of 97 properties. The sale follows a failed float of the portfolio on the Frankfurt Stock Exchange last month. Blackstone had previously offered to buy OfficeFirst before the IPO. Freshfields’ team advising IVG was led by partner Wessel Heukamp and included corporate partners Kai Hasselbach, Andreas Fabritius, corporate real estate partner Timo Elsner, banking partners Frank Laudenklos and Maximilian Lang, cartel partner Frank Röhling and tax partners Christian Sistermann, David Beutel and Ulrich Blaas. Corporate partners Thomas Müller, Karsten Schmidt-Hern, Alf-Henrik Bischke, competition partner Markus Röhrig, employment partner Christian Hoefs and public law partner Jan Bonhage advised Blackstone from Hengeler Mueller. Simpson Thacher & Bartlett advised Blackstone with a team led by Wheatly MacNamara, while Kirkland & Ellis advised the ultimate owners of IVG. For Kirkland partners Achim Herfs, Bjoern Holland and Christopher Field acted on the deal. Earlier in the month it was revealed Freshfields had also advised TPG Real Estate on the $2.7bn sale of P3 to Singaporean sovereign wealth fund GIC. The deal was Kirkland & Ellis’s first for the wealth fund and the biggest European real estate deal of the year until Blackstone’s purchase. Freshfields’ team was led by the co-head of the firm’s sovereign wealth fund group Alex Watt, corporate partner Patrick Ko and finance partner David Trott while London corporate partners Matthew Elliott and Celyn Evans, debt finance partner Michael Steele, competition partner Paula Riedel and tax partners Jonathan Kandel and Frixos Hatjantonas advised from Kirkland. The Magic Circle firm is also advising medical products company ConvaTec on its anticipated $1.8bn IPO, making it the largest post-Brexit initial public offering on the London Stock Exchange. Linklaters advised the banks on the deal. With large deals in the oil and gas sector still often struggling to get away, RWE’s €5.1bn sale of its upstream oil and gas business RWE Dea to Russian billionaires Mikhail Fridman and German Khan has gifted Slaughter and May, Hengeler Mueller and Linklaters with major corporate mandates, as the deal is already touted to be one of the most significant of the year. The acquisition from RWE – one of Europe’s big five energy companies – was made by the LetterOne Group, an investment vehicle set up by Fridman and Khan in 2013. Slaughters and Hengeler put a team together to advise RWE, led by Slaughters oil and gas partner Hywel Davies and corporate partners Matthias Hentzen and Thomas Meurer at Hengeler. Linklaters advised LetterOne Group, with a team from Dusseldorf led by corporate partners Ralph Wollburg and Tim Johannsen-Roth. According to EY, while the oil and gas sector remained one of the most active and resilient global sectors for M&A, the total value of reported oil and gas transactions in 2013 was $337bn, down by 21% on a record high of $423bn posted in 2012. The number of deals – both reported and unreported – was down from 1,800 in 2012 to just under 1,400. However, there was an increase in ‘megadeals’ in 2013: four with a reported value of over $10bn, compared with three in 2012. RWE is a longstanding client of both Slaughter and May and Linklaters. In 2006, Slaughters advised RWE on its sale of Thames Water Holdings to Kemble Water for £4.8bn, while Linklaters advised renewable division RWE Innogy on its £400m refinancing of its windfarm portfolio, Zephyr Investments in 2004. Hengeler Mueller also has a history with the energy giant, advising RWE Deutschland on the restructuring of its grid business last year. Freshfields Bruckhaus Deringer and Linklaters have landed two major corporate mandates advising Alibaba on what Reuters describes as ‘the most anticipated IPO since Facebook’ and Vodafone on its €7.7bn (£6.6bn) acquisition of Germany’s largest cable TV operator respectively. Amidst much market speculation over roles and particularly the levels of fees that will be commanded, Freshfields is understood to be advising the China e-commerce giant on an IPO reportedly valued at as much as $100bn (64bn), with Hong Kong equity capital markets partner and Greater China head Teresa Ko understood to be leading the team.The Magic Circle firm recently advised Alibaba, which under the helm of former CEO Jack Ma (pictured) transformed into one of the world’s largest e-commerce businesses with 24,000 employees, on its $8bn debt refinancing and buyback of half of Yahoo!’s 40% stake in the company in May last year. Linklaters, meanwhile, is advising long-term client Vodafone, one of the world’s largest mobile communications companies with a market capitalisation of £85.3bn, on its first foray into consumer broadband and television with the acquisition of Kabel Deutschland, offering Kabel shareholders €87 per share in cash, as announced yesterday (24 June). Düsseldorf partner Klaus Hoenig and Frankfurt partner Stephan Oppenhoff are leading the team at Linklaters, which last year advised the phone company on its $1.7bn purchase of London-based Cable & Wireless Worldwide (CWW), which provides businesses with voice, date and intellectual property communications. The deal also represents a significant win for German law firm Hengeler Mueller, which is advising Kabel Deutschland, fielding a multi-jurisdictional team led by corporate partners Maximilian Schiessl and Achim Herfs together with regulatory partner Wolfgang Spoerr and antitrust partner Christoph Stadler. Hengeler Mueller also advised the cable TV company last July on its €618m agreement to acquire Tele Columbus, which was vetoed this year by Germany’s antitrust regulator.